…this creates a very attractive scenario for brands poised to grow. However, even with an understanding behind the Hispanic diversity, brands find that advertising to the Hispanic population is challenging. Assumptions may be made around the brand’s equity and positioning performing similarly across the different demographic segments. Avoiding these assumptions becomes a key element for success, particularly if the company plans to adopt a Total Market strategy. Advertising tactics should vary depending of the brand’s position in the market; so understanding where your brand preference falls within the category across the different target segments becomes a priority when formulating a brand’s communication plan. The example below, an example using MSW•ARS’ Brand Preference data for the US Toilet Tissue category among Females, illustrates how inclination among the top five brands changes when comparing the Non-acculturated, Semi-acculturated and General Market Female segments. While Charmin is the consistent leader across all three groups, Scotts’ secondary position is eroded among Semi-Acculturated Hispanic Females by Angel Soft. Similarly, preference for the Quilted North brand falls back among Semi-acculturated Hispanic Females, as this group claims preference of value-based store brands like Costco’s Kirkland, and Walmart’s White Cloud. Great caution should be exercised in understanding the relative type and strength of equity a brand – or a particular RTB included in the selling proposition – holds in the countries from where Non-acculturated Hispanics originate when developing a communication strategy. 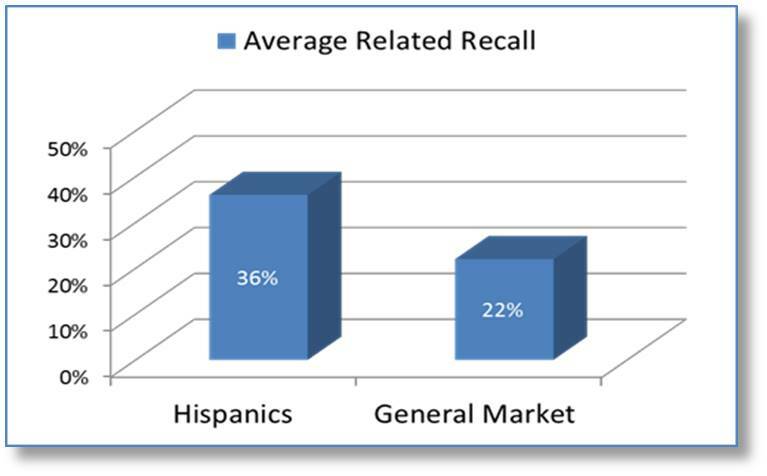 This is due to the fact that Hispanics may lack, or have a different understanding of, what the brand represents based on the communication in their – or their parent’s – country of origin. Advertising may make assumptions about similar brand equity across the different cultural groups, when education about the brand’s characteristics is needed instead. For example, there is limited understanding of the damage caused to the hair when coloring using ammonia-based colorants in Mexico. 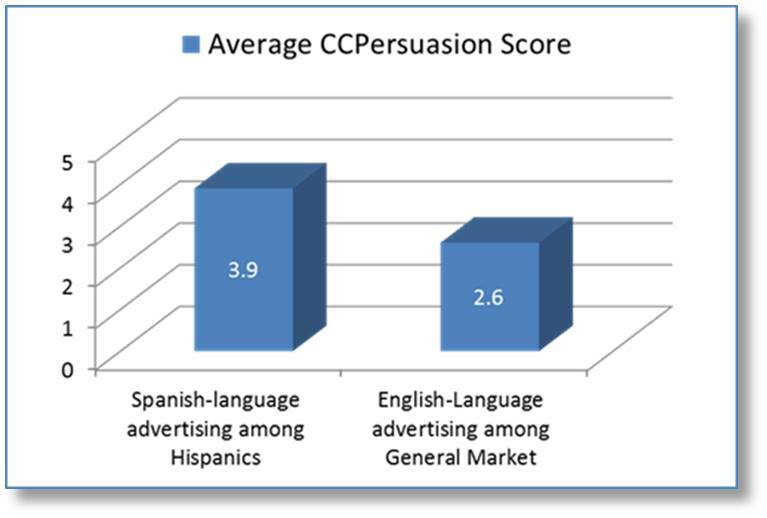 This results in advertising highlighting a “reduced damage” component tending to be less persuasive among the Non-Acculturated Hispanic Women when compared to other segments, than advertising communicating other functional benefits like tint duration. Another example that illustrates this dynamic is evidenced by an ad quantitatively tested by MSW•ARS Research using the TouchPoint solution for the Tecate beer brand among the Hispanic market. In the ad, the one man in a bar who remains stoic after several attractive women pass by him is rewarded by a Mexican-type fiesta complete with some stereotypical characters, like a luchador. While the Hispanic Males who participated in the study found the creative to be funny and engaging, the behavioral, non-cognitive results showed the ad failed to generate any change in brand preference among men towards Tecate. Unfortunately for Tecate, other Mexican brands of beer – such as Corona and Modelo – had stronger brand preference among Hispanic men. Therefore, while linking the advertising to Mexican cultural elements was effective to switch beer purchasers over to “Mexican brands,” it was not effective enough to drive consumers to one particular brand among those imported from Mexico. Mexican beers with the highest preference, such as Corona and Modelo, were the ones that capitalized from the ad, while the advertised brand Tecate saw flat results. Stronger understanding of the Hispanic male beer consideration set, including brand preference, would have given further insight that advertising for Tecate needed not only to cue the Mexican element, but incorporate strong branding elements to Tecate in order to avoid potential misattribution. Developing effective advertising for Hispanics, or in which Hispanic are included as an important segment, requires expertise and constant monitoring throughout the different stages of the creative process. Our Brand Building Portfolio offers a consistent analytic philosophy to drive a clear incremental improvement in each step with an end-to-end perspective. Please contact your MSW●ARS representative to find out how our products and research can help you develop effective advertising for the Hispanic market. Are illuminated User Generated Product Review Videos… The Ultimate Testimonial Format?